iviez is in the Nendaz municipality, and is a small ski resort with perhaps the very best access to the Four Valleys. It lies on the floor of the Printse valley with chairlifts to Tortin, Combatseline and Plan-du-Fou providing easy access respectively to the slopes above Verbier, Veysonnaz and Nendaz. In addition there is a courtesy bus running every 20 minutes in season from Nendaz, so it makes an alternative base from the Haut-Nendaz gondola to start a day in the mountains, especially if the runs above Prarion are patchy as they often are after warm weather or sunny days. Note also the first buses get you from Nendaz to Siviez before the first lifts operate, so they provide quicker access to hit Mont Fort or Greppon Blanc early than the gondola. The facilities in Siviez are not extensive, but there is enough there to make it a worthwhile destination to stay in if you want good access to the slopes. The run off Greppon Blanc into Siviez drops a full kilometre in vertical height and gives good options for off-piste, black or red sections. 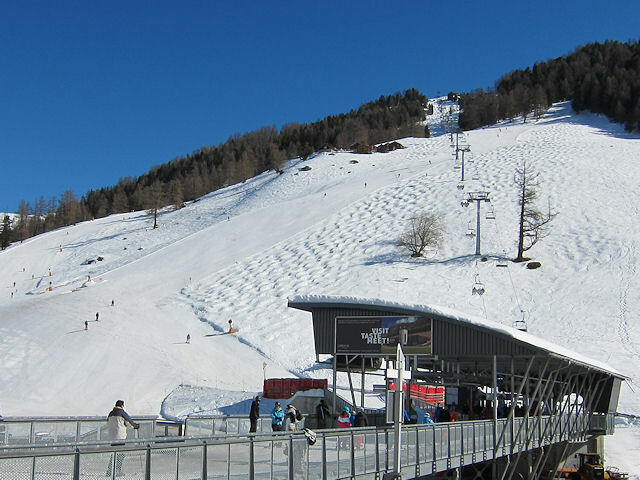 The best destination to access the downhill slopes by public transport in this ski area is Haute-Nendaz, telecabine. Bus stop is adjacent to the cable car. 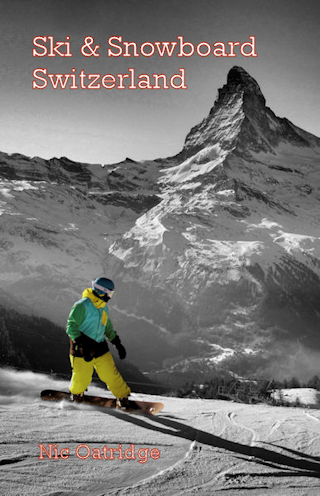 Note additional charge to access Verbier slopes - pass covers Siviez, Mt Fort, Veysonnaz etc. The resort operates the Snow'n'Rail scheme, providing a 20% discount on the combined travel ticket and lift pass. The road distance from Zurich is around 291 km and the journey time is roughly 3 hrs 20 mins. The road distance from Basel is around 264 km and the journey time is roughly 3 hrs. The road distance from Berne is around 170 km and the journey time is roughly 1 hr 55 mins. The road distance from Geneva is around 175 km and the journey time is roughly 2 hrs 10 mins. The road distance from Lausanne is around 111 km and the journey time is roughly 1 hr 25 mins. The road distance from Fribourg is around 139 km and the journey time is roughly 1 hr 38 mins. Other resorts in the ski area include Les Masses, Nendaz, Thyon, Veysonnaz and Verbier.